The signing ceremony of Facilitation Agreement (FA) was held on 8th September 2017 at Private Power Infrastructure Board (PPIB) office Islamabad. 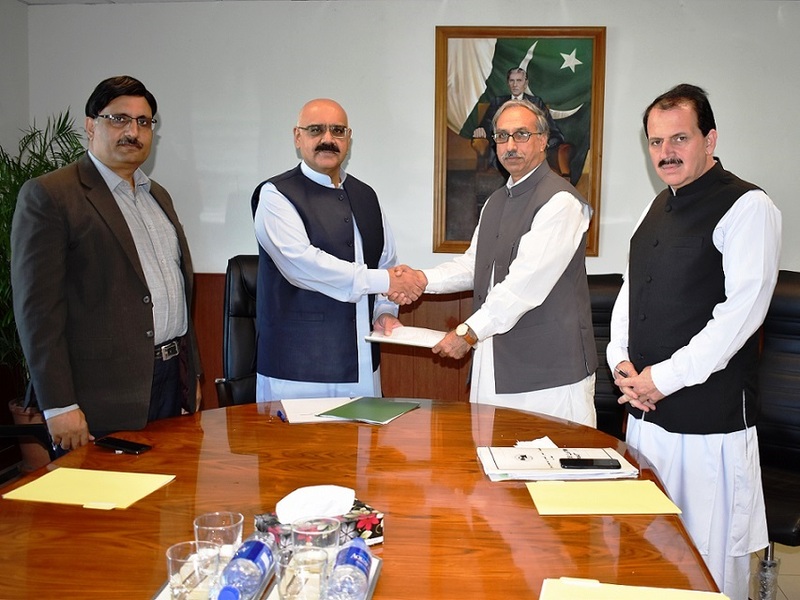 The documents were signed by Mr. Shah Jahan Mirza, Managing Director PPIB and Malik Israr Ahmed, Secretary (Electricity/PDO) Government of Azad Jammu & Kashmir (GoAJ&K) in presence of senior officials of PPIB and the GoAJ&K. Under the Facilitation Agreement, PPIB and GoAJ&K have agreed for cooperation and facilitation in setting up private hydropower power projects of under 50 MW and related infrastructure initiated by GoAJ&K for further processing by PPIB under the Tri-partite Letter of Support (LOS) regime. Earlier, PPIB has already signed Facilitation Agreements with Energy Department of Government of Khyber Pakhtunkhwa and Energy Department of Government of Punjab. Through this arrangement, a Tripartite LOS will be issued to the projects sponsors/companies and PPIB will facilitate them in establishing of private power projects and related infrastructure through signing Implementation Agreement and issuing Government of Pakistan (GOP) Guarantee under the provisions of Power Generation Policy 2015. This initiative will attract and encourage potential investors in developing small to medium size hydropower power projects in AJ&K which will further augment generation capabilities. This milestone will enhance the confidence of investors in investing in Private Power Projects of GoAJ&K and help in harnessing the large potential of hydropower projects in AJ&K. PPIB is already processing eleven medium to large size hydropower projects in AJ&K with a cumulative capacity of 4739 MW out of which three projects of 969 MW are under construction after achievement of Financial Close while two projects of 1764 MW are expected to achieve Financial Closing soon and others are at different stages and moving ahead satisfactorily. It is pertinent to mention that the first hydro IPP namely New Bong Escape Hydropower Project which is located in AJ&K is already commissioned and generating 84 MW to the national grid.